MagicDisc can create virtual CD and DVD, Mount ISO image and CD/DVD images as virtual DVD or CD. 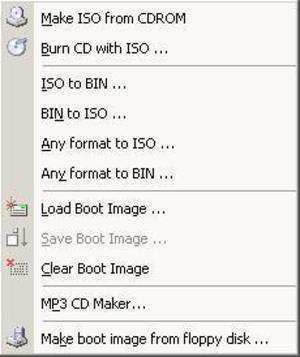 Encrypts ISO image and Compresses ISO image and CD/DVD image, Make CD/DVD image from CD/DVD. Supports up to 15 virtual drivers. You can run games, software, see movies(VCD,SVCD,DVD), and hear music directly from your hard disk without inserting and swapping CDs and DVDs. Version 2.7.106 is a freeware program which does not have restrictions and it's free so it doesn't cost anything. For security reasons, you should also check out the MagicDisc download at LO4D.com which includes virus and malware tests. Additional screenshots of this application download may be available, too. MagicDisc download been highly rated by our users.